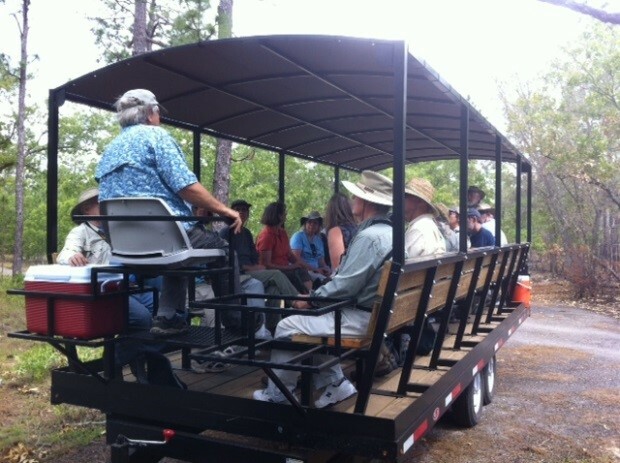 As part of our outreach goal, OSBS provides opportunities for life-long learning about the natural world to the broader community of north Florida through volunteer opportunities and group tours. We also provide talks to groups who are interested in learning about OSBS and its mission. Since the Station's inception, volunteers have provided an important role in enhancing OSBS's mission. 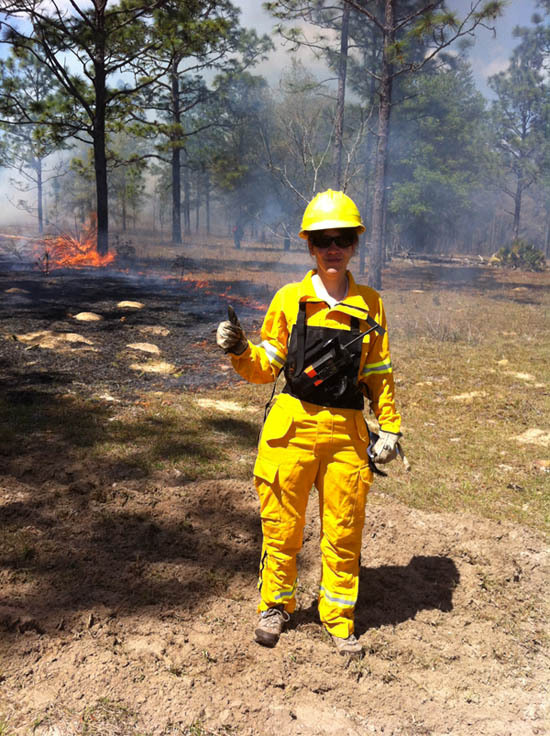 Volunteering at OSBS provides an opportunity to work in areas such as resource management, science, and environmental education/interpretation. A volunteer is a person who performs work for under a current, signed UF Volunteer Application and Volunteer Agreement, and provides this service free of charge. If you are interested in volunteering at the Station, please contact the station and ask for Andy Rappe. 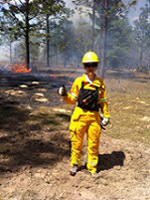 If you are interested in the Conservation Camper program, please contact the station and ask for Andy Rappe. OSBS provides interpretive and informational tours about the Station for organized groups. 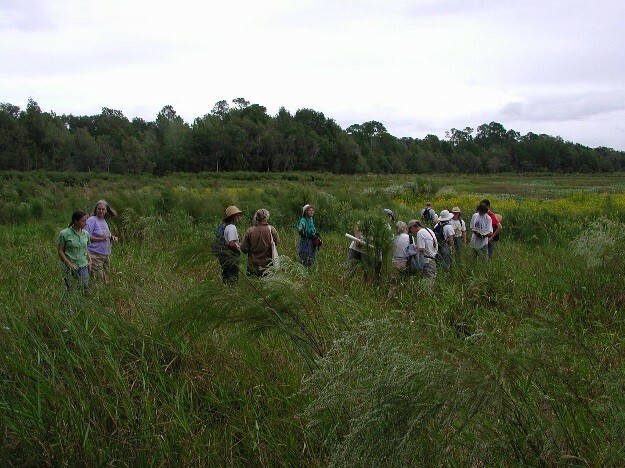 These tours provide an opportunity to understand the facilities mission and focus and see some of Florida’s unique habitats and wildlife. 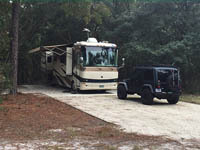 The tours are usually limited to 25 visitors and involve a slow and relaxing ride through OSBS in our tour wagon along with stops at unique spots for a short walks to discuss points of interest. 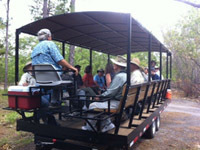 Tours for topics such as research, habitat management, birding, and local flora are also available. If your organization is interested in visiting OSBS for a tour, please contact the Station for more information. In the near future OSBS is planning to have a spring and fall series of tours for the general public. Please keep visiting this page for more information.